Are you looking for an extra boost in the gym? Pre-workout supplements can give you added edge but with thousands of brands flooding the market, finding the best product can be overwhelming. Fear not, friends! We have tried (almost) all of them and have compiled a list of the top five pre-workout supplements on the market below! BSN is one of the oldest supplement companies in the industry and knows a thing or two about formulating pre-workouts. One it’s most popular foray’s into pre-workout supplementation comes in the form of N.O. Xplode. “N.O.” is not just a catchy name, but holds a great deal of importance as it pertains to the formulation. N.O. stands for nitric oxide, a gaseous chemical compound utilized for cellular communication. Contrary to popular belief, the main ingredient in such pump products is not nitric oxide, but a powerful vasodilating amino acid called L-Arginine. When body enzymes break down arginine, nitric oxide is naturally synthesized within the body. You might ask yourself, “if my body produces arginine, and by default nitric oxide, why should I add a supplement to my diet?” Well, that is because our bodies do not get enough nitric oxide to perform desired effects, namely a “sick pump” in the gym! N.O. Xplode contains 1g of the mysterious proprietary blend “N.O. Alpha Fusion” which is made up of other nitric oxide boosters; L-Citrulline Malate, Danshen Extract, Grape Skin Extract, Phyllanthus emblica Extrac, Hawthorn Extract, and Folate. Each of these ingredients is known separately for its ability to induce high levels of blood circulation throughout the body. This allows for the speedy and efficient transfer of nutrients to the muscles experiencing stress inside the gym. For example; your quadriceps are taking the brunt of stress during a squat workout. Introduce the potent pump effects of N.O. Xplode and your quads will swell with blood! BSN’s popular pump-focused pre-workout is a proprietary blend, however, which results in it sliding down to number 5 on our list. Moving onto our number 4 pre-workout is Clash by MTS Nutrition. There are many stimulating ingredients “clashing” with each other in this effective pre-workout, but N-Acetyl L-Tyrosine is one that caught my eye. L-Tyrosine is an amino acid derived from phenylalanine, another amino acids used to treat depression, ADD, ADHD, narcolepsy, and fatigue. Pre-workout supplementation is crucial to anyone experiencing a lack of focus or energy inside or out of the gym. L-Tyrosine supplementation specifically can combat that inability to focus by tapping into the noradrenaline (norepinephrine) and other anti-stress hormones. Furthermore, adding an L-Tyrosine supplement to your diet has been found to increase catecholamine synthesis, which in turn acts as an anti-neural aging agent. Furthermore, adding N-Acetylcysteine to the compound enhances its overall absorption! 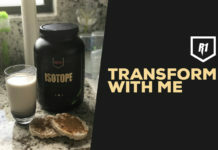 Two scoops of MTS Nutrition’s forceful formula yields a heaping 500mg of L-Tyrosine, securing it’s spot as the fourth best pre-workout on shelves today! The next pre-workout on our list is one that has gained quite a bit of steam of late due to a rather controversial ingredient. Once the FDA lifted it’s ban on the ingredient, Mesomorph by APS Nutrition was one of the first pre-workout powders to contain DMAA. 1,3-Dimethylamylamine is an extremely strong stimulant with a molecular structure akin to that of amphetamine. Like amphetamine, DMAA increases the release of catecholamines norepinephrine and dopamine. Elevated NE levels lead to an increase in focus while increased levels of dopamine elicit a positive response in regard to one’s demeanor. Providing Spider-Man-esque alertness and Captain America’s euphoric personality, 1,3DMAA supplementation has been proven to make a superhero out of you. Thanks to its ability to easily cross the blood/brain barrier, this ingredient is quickly made bioavailable, but that’s not all. With a half-life as long as it’s name, 1, 3-Dimethylamylamine remains in the body for up to 9 hours providing an entire day’s worth of energy. DMAA is a neurological stimulant, which elicits a speedy spike of energy similar to that of caffeine, ephedrine, and adrenaline. Due to it’s extreme potency, this ingredient is NOT recommended for beginner lifters. We all love a good underdog story, don’t we?! Consider Haymaker by PEEP our underdog. Haymaker offers a severe kick with 400mg of caffeine per serving and a full gram of Agmatine Sulfate, but the real meat and potatoes of this pre-workout is the whopping 4.8g of Beta-Alanine in every scoop! Imagine a supplement that allows you to get an extra rep or two or five on the bench or under the squat bar! Studies have shown clinical doses of Beta-Alanine provide much more than the pre-workout tingles, but offer marathon-esque endurance! Once ingested, Beta-Alanine forms into carnosine. Stored within cells and released in response to drops in pH, carnosine is an acid-buffering molecule. Increased carnosine levels have been shown to protect against diet-induced pH drops (commonly found in ketone production as a direct result of a ketogenic diet) as well as combat exercise-induced lactic acid production. What did you expect? Were we going to promote another brand’s pre-workout on our own site? Of course not! But that’s because Total War IS the supplement industry’s leading pre-workout supplement, and that’s a fact! Our brand new stim-based product contains no proprietary blends, is totally transparent, and consists of a myriad of standard issue ingredients to compliment a handful of compounds not found in your everyday pre-workout. We included a whopping 6g of Citrulline Malate into our product for some of the most severe skin-splitting pumps you will ever experience inside the walls of a fitness facility. Aside from providing the “pump” that so many gym-goers chase, this conditional amino acids yields a litany of positive effects such as delaying muscle fatigue, allowing for longer bouts of training. Up next in the Total War concoction is quite possibly the most underrated supplement on the market. As we discussed earlier Beta-Alanine does much more than just provide the pre-workout Parasthesia, or the “tingling” sensation. At clinical dosages, Beta-Alanine has been found to significantly improve endurance from elevated Carnosine levels. 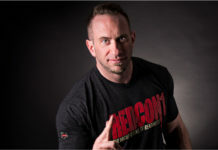 RedCon1 has included 3.2g/serving, one of the highest doses you will see in a pre-workout. Pre-workout powders are known for their energy boosting effects, and have been popularized by their nitric oxide increasing properties. Agmatine Sulfate is one of these properties. In every scoop of Total War is standard amount (1g) of Agmatine to help engorge the trained muscle with nutrients and deliver skin-splitting pumps. Taurine is another commonplace amino acid found in pre-workouts. Aside from its anti-oxidant effects, the 1g of Taurine included in Total War may assist in the post-workout window of recovery. There are many different ways to create a pre-workout. Some manufacturers decide to remove all stimulants from the formulation while others choose to go all in with their stimulants. We offer a little bit for everyone here at RedCon1, so meet us somewhere in the middle. Caffeine Anhydrous is a part of the Total War cocktail in a manageable 250mg per serving. To put that into perspective, the caffeine content in 8 oz. of black coffee is 150mg, so this is not far off. Total War truly sets itself apart with the next series of ingredients; N-Phenethyl Dimethylamine Citrate (DIM) and 2-Aminoisoheptaine (DMHA). When paired with caffeine, these two compounds pack a punch that rivals even DMAA! The next, rather interesting, stimulant on our list is Theobroma Cocao Extract, at 50mg. Although it is the chemical cousin of caffeine, it has little semblance to the ingredient. Unlike caffeine, Theobromine has no effect on energy or focus, rather its lone physical effect is the ability to induce higher amounts of perspiration. Personally, I love to sweat and don’t consider my training sessions a success unless I am left in a puddle of it. If you are anything like me, you will enjoy supplementing with this ingredient. 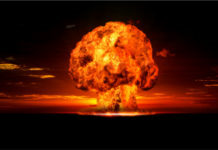 Two similar ingredients that bring Total War into the “stimulant” category are Higenamine HCL (25mg) and Rauwolscine Alpha-Yohimbine (2mg). Both compounds may increase levels of fat burning during training sessions. Last, but certainly not least, is 10mg of Bioperine. A form of Black Pepper Fruit Extract, Bioperine has been shown to increase the absorption of other nutrients. This is huge because it essentially increases the potency of each of the ingredients in Total War! 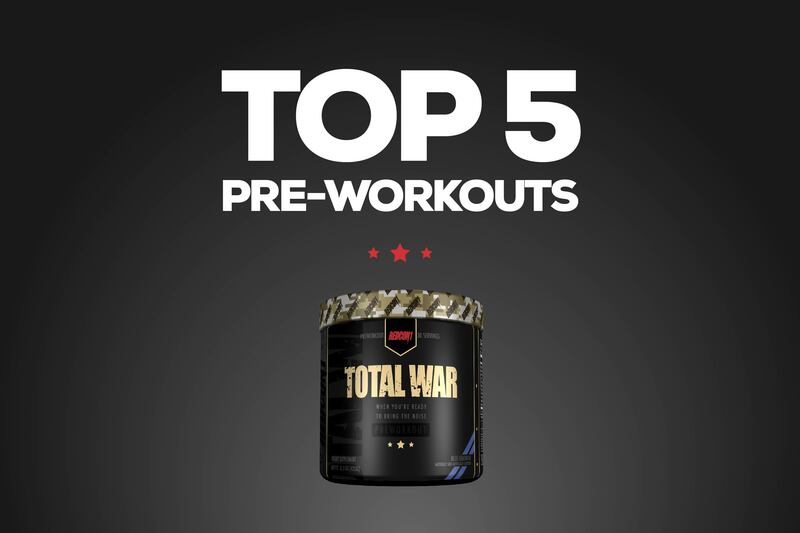 The perfect combination of pump, focus, energy, and endurance, Total War is the ultimate pre-workout. Don’t believe us? Scroll up to the RedCon1 supplement store and try a bottle for yourself. We are confident you will not be disappointed!